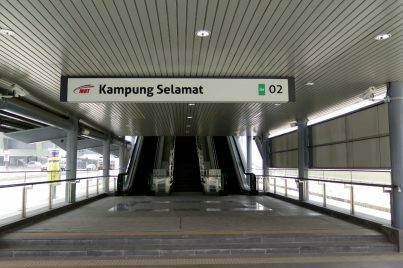 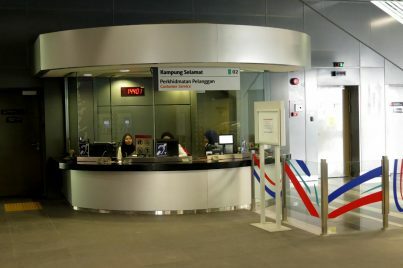 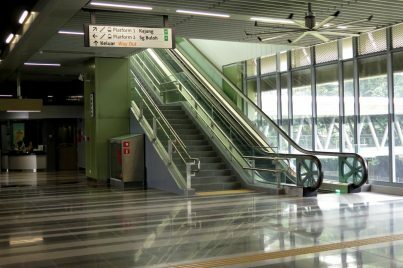 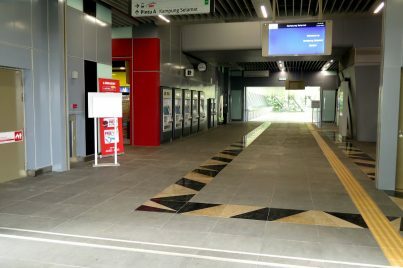 The Kampung Selamat MRT Station is an MRT station serving the suburb of Kampung Baru Sungai Buloh in Sungai Buloh, Selangor. 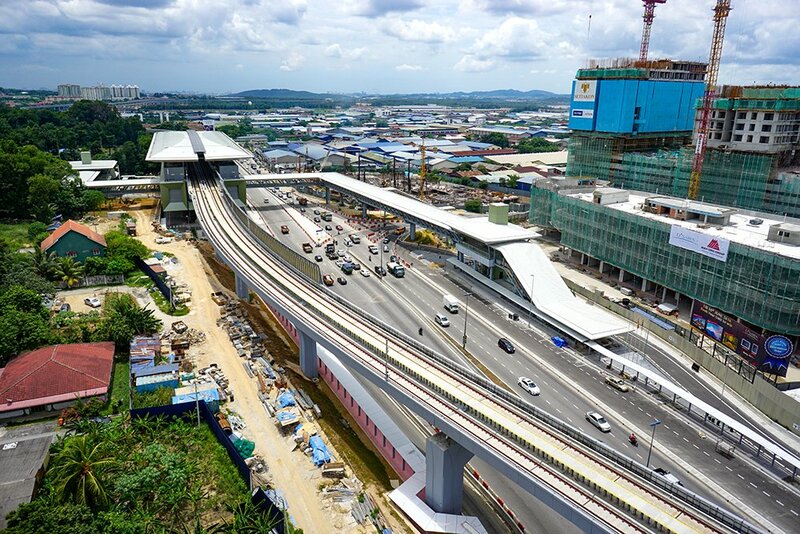 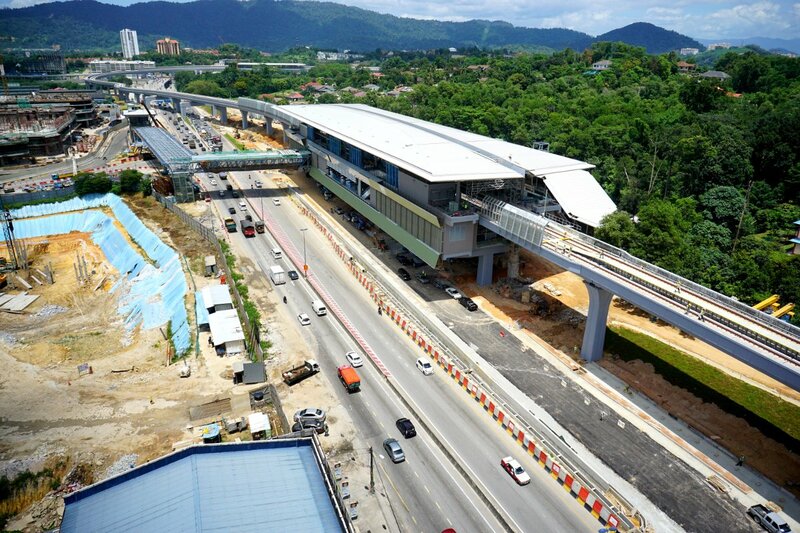 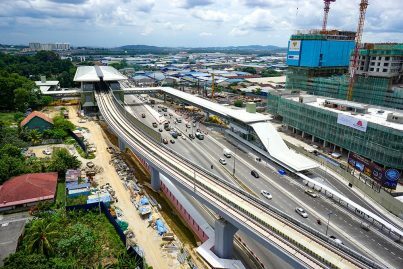 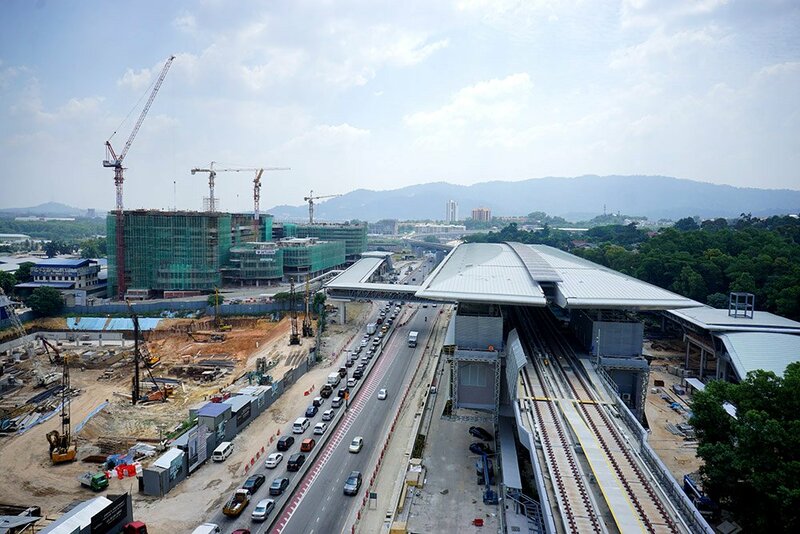 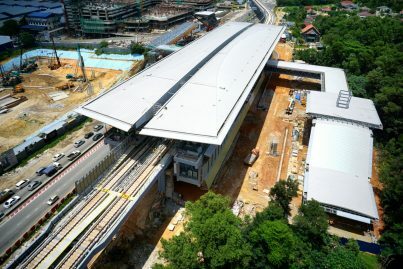 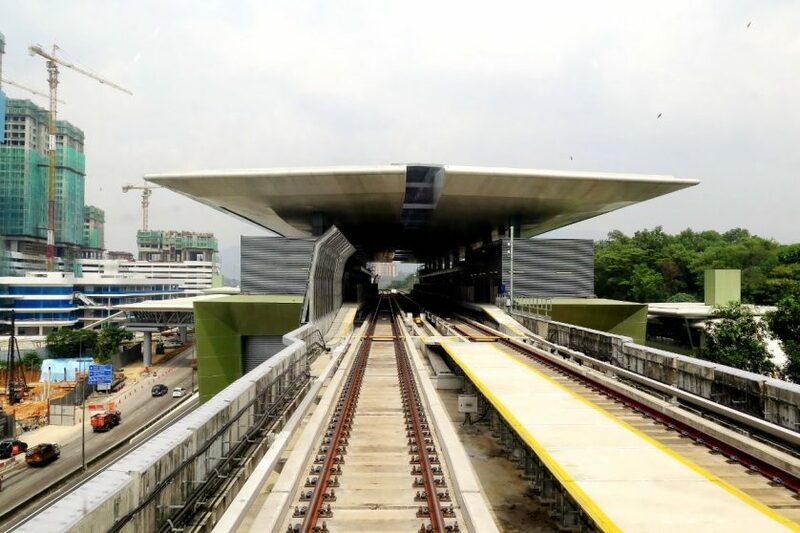 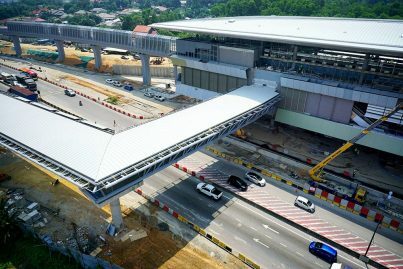 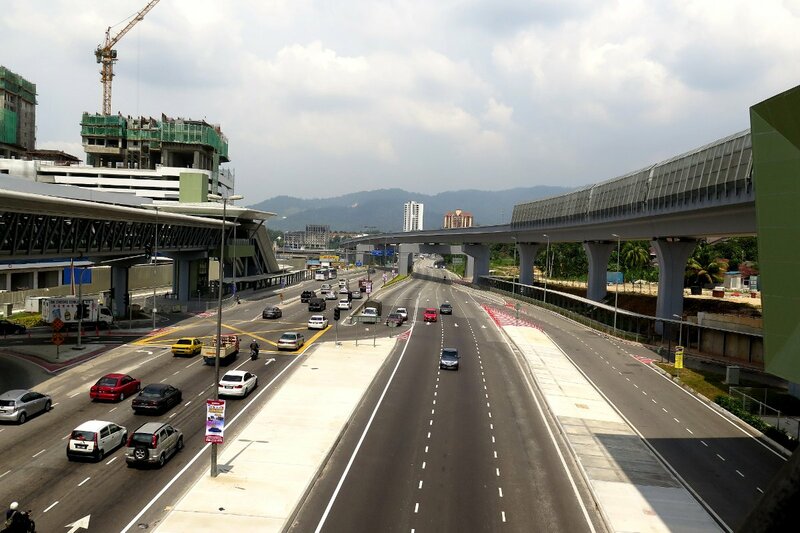 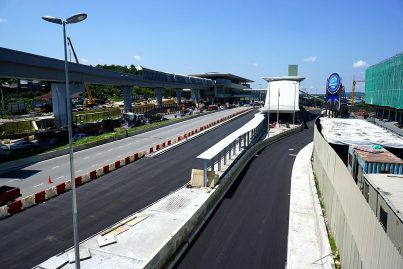 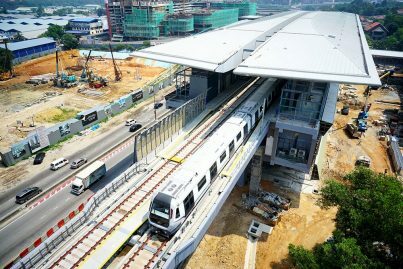 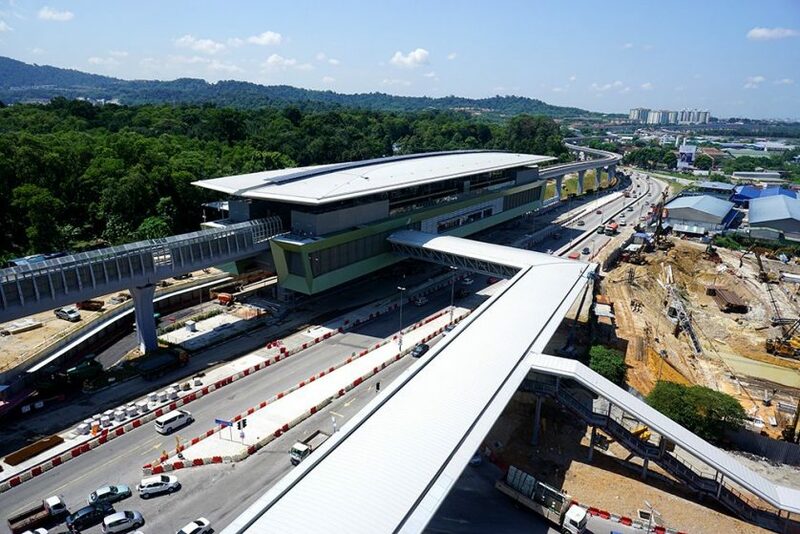 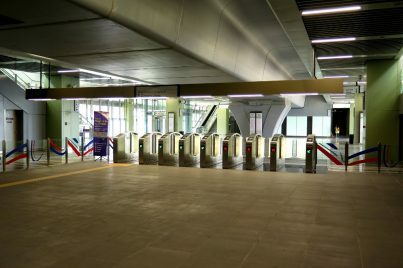 It serves as one of the temporary stations on the Mass Rapid Transit (KVMRT) Sungai Buloh-Kajang Line, and when ready, changed to the future Sungai Buloh-Serdang-Putrajaya Line. 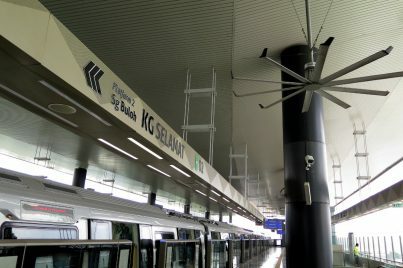 The station is an elevated station located on the east side of Jalan Sungai Buloh. 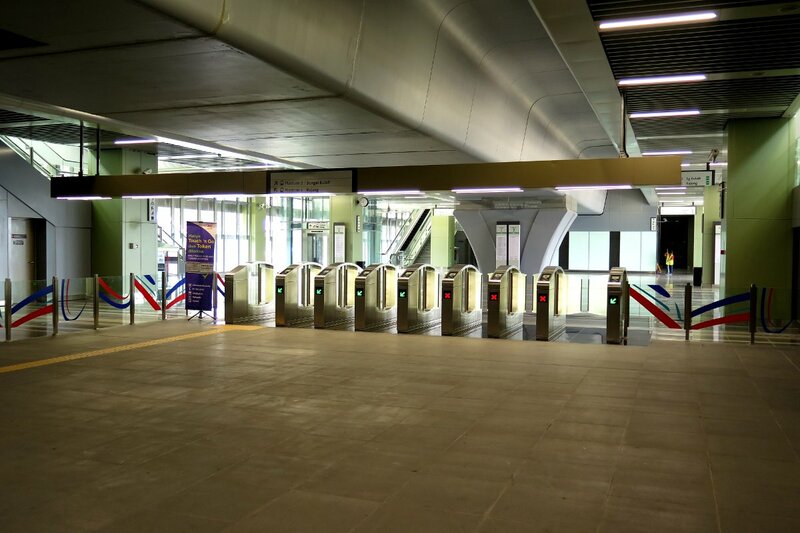 The design of the station is the standard elevated station design comprising two levels above the ground level. The first level is the concourse level, the two side platforms flanking the double tracks above. 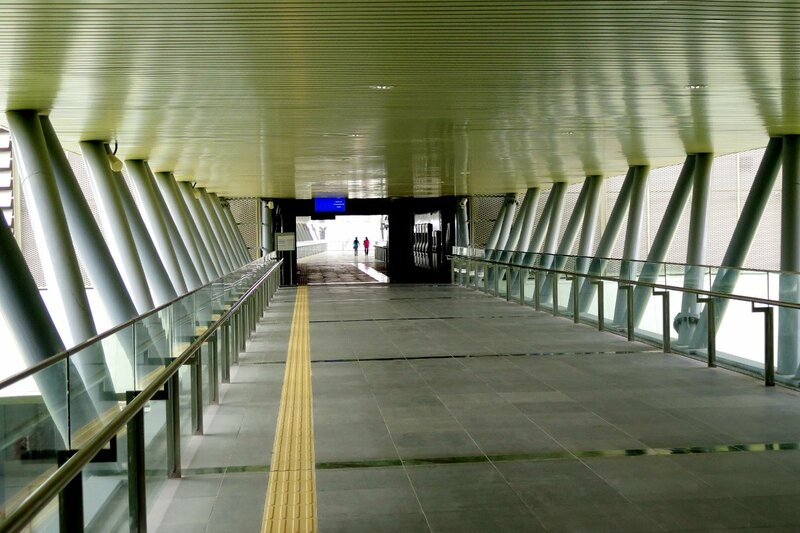 The station features a long pedestrian bridge over Jalan Sungai Buloh which links the stations to two entrances across the road. 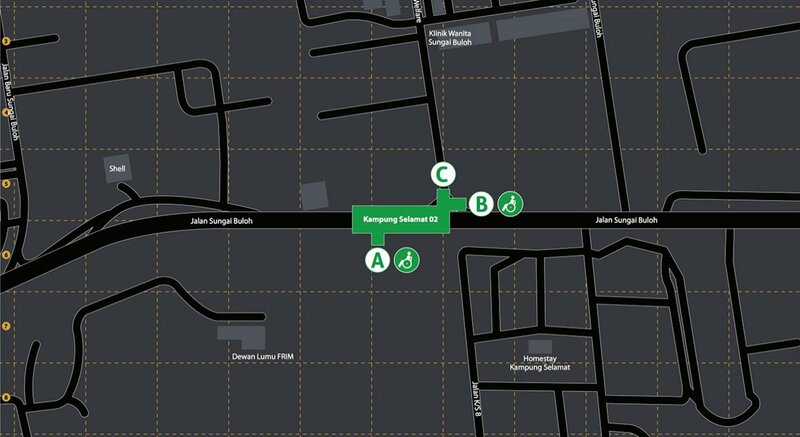 Entrance B is located on the northbound side of Jalan Sungai Buloh while Entrance C is located along Jalan Welfare. 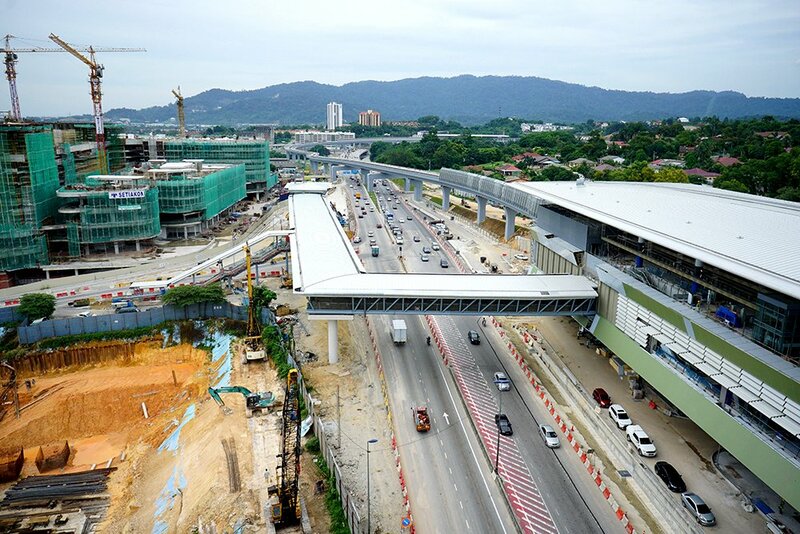 The link bridge will also be connected to the entrances of the SqWhere and D’sara Sentral developments in the future. 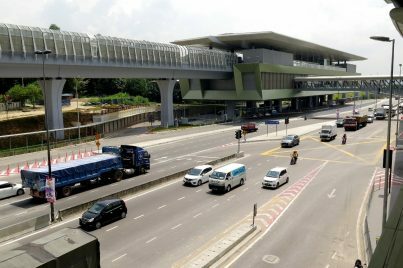 When the operations for the MRT Sungai Buloh-Serdang-Putrajaya Line begin, Kampung Selamat station will become part of this line and cease to be part of the MRT Sungai Buloh-Kajang Line. 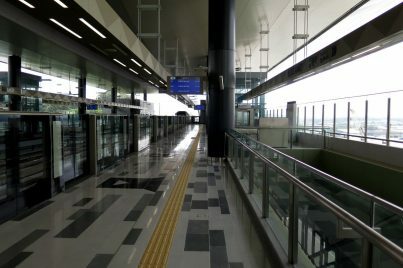 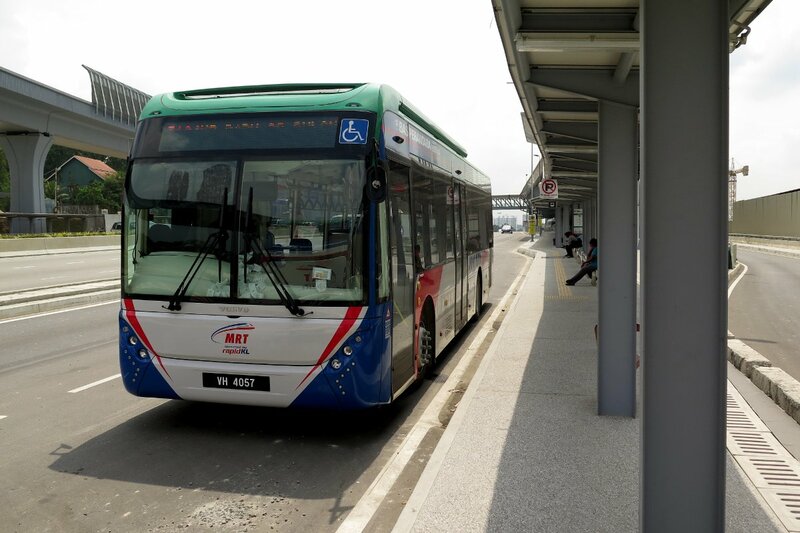 With the opening of the MRT Sungai Buloh-Kajang Line, feeder buses also began operating linking the station with Kampung Baru Sungai Buloh. 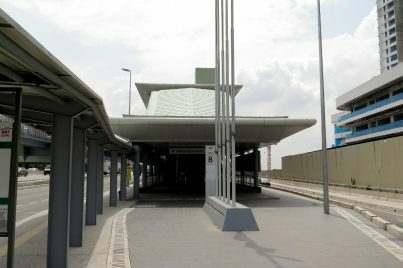 The feeder buses operate from the station’s feeder bus hub accessed via Entrance C across Jalan Sungai Buloh from the station via a pedestrian bridge.